The XXVIII General Assembly (GA) of the ICYE Federation took place from 18 to 23 November 2013 in Kampala, Uganda and was attended by 65 participants, representing 38 different countries, including partners in Argentina, Spain and Tanzania. The GA highlights were: keynote speeches on Africa’s predicaments & challenges; Federation’s mid (2017) and long-term (2021) action plans; workshops on how to ensure a more global and reciprocal youth exchange; development of south-south exchanges, bi-country programs and National Committees peer support systems; elaboration of regional meetings and trainings for 2014; and plans for trainings on how to assess the impact of the ICYE program on volunteers, host organizations and families. Warmest thanks and gratitude go to Ugandan Volunteers for Peace (UVP)/ICYE Uganda for the exquisite hospitality, the informative host projects’ visits, and the GA organisation, which made this General Assembly – the third one ever hosted in Africa – a memorable and encouraging one! 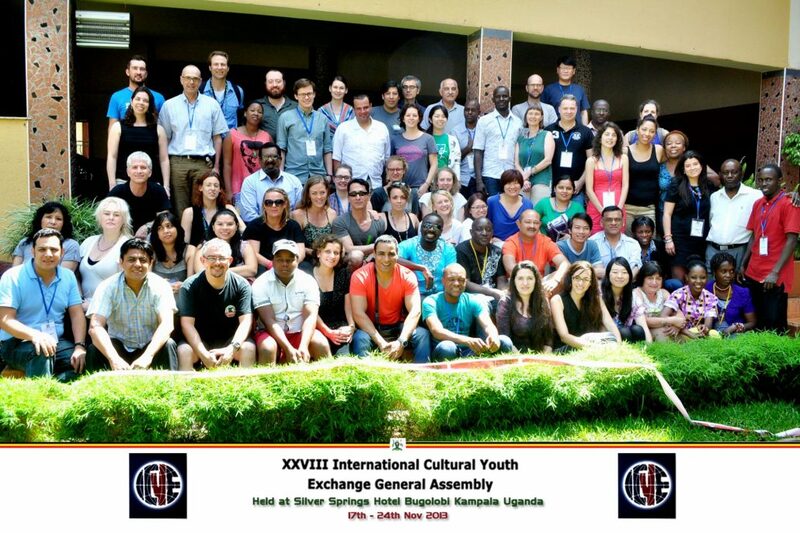 The XXIX ICYE General Assembly will be held in Goa, India, in October/November 2015. For more information about the XXVIII ICYE General Assembly please contact the ICYE International Office at icye@icye.org.